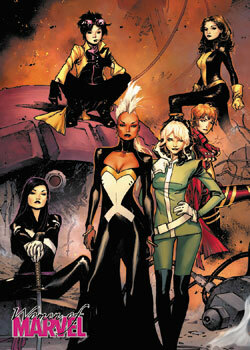 2013 Rittenhouse Women of Marvel Series 2 is all about the ladies of the Marvel Universe. 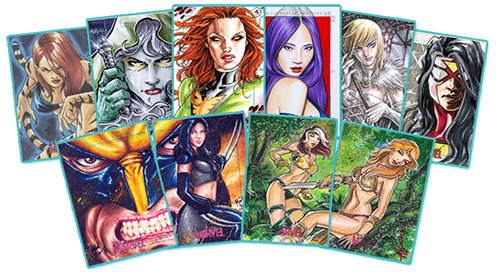 A follow-up to the card maker's 2008 Women of Marvel set, each box comes with either a full-color sketch card or a multi-card sketch puzzle. 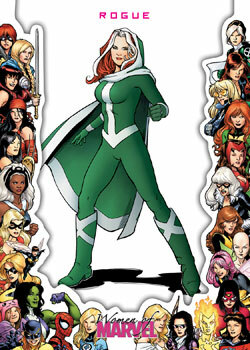 The 2013 Rittenhouse Women of Marvel Series 2 base set has 90 cards. 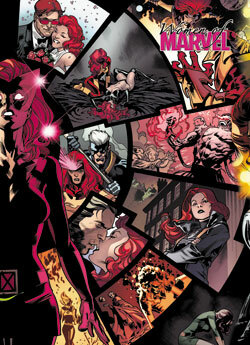 It is devoted to stunning artwork of both the female heroes and villains that make Marvel Comics tick. The set also has multiple levels of numbered parallels. For many, sketch cards are likely to be the big draw of the product. Each box has at least one high-quality piece of original art. Approximately every third box has a complete multi-card sketch puzzle. 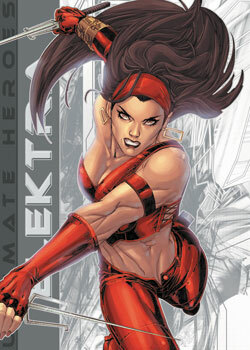 The number of artists doing sketch cards in 2013 Rittenhouse Women of Marvel Series 2 is big, with more than 100 contributing. These include Newton Barbosa, Matt Glebe, Mick Glebe, Sean Pence, Allison Sohn, and Mark Texeira. 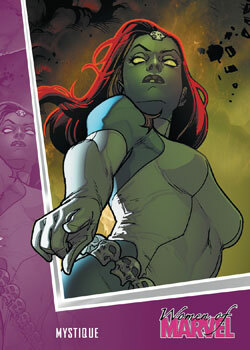 2013 Rittenhouse Women of Marvel Series 2 has three levels of case incentives. Those ordering six cases get a four-card sketch puzzle by Rhiannon Owens that has multiple characters. The eight-case incentive is a sketch portrait by Tim Shay. Dealers getting 18 12-box cases get a special Archives Box. Rittenhouse plans to have other basic inserts in the set as well, although formal details have not yet been released. 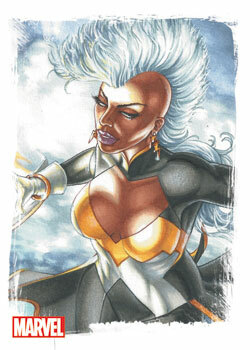 A binder with an exclusive sketch card is available separately. 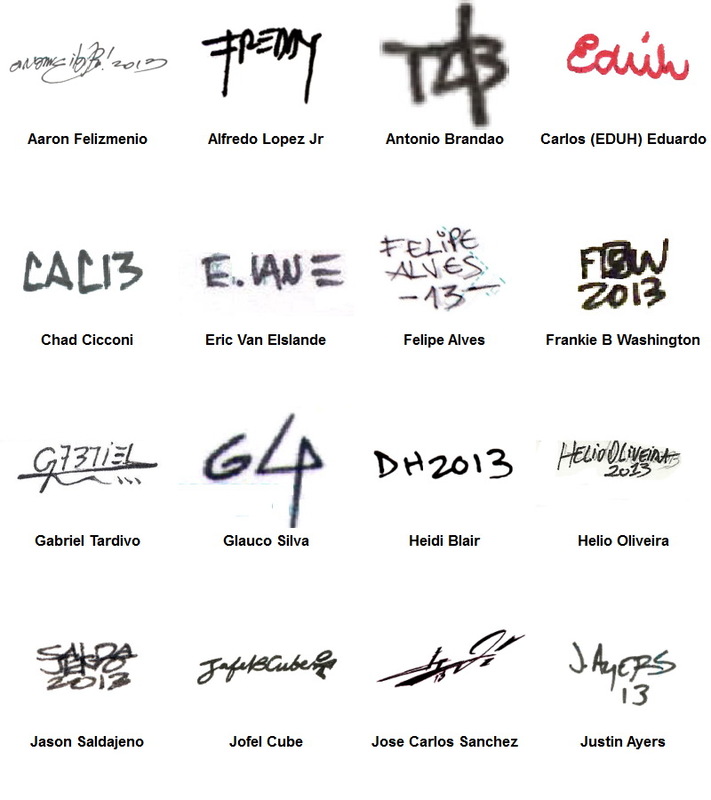 The following artists contributed sketch cards for the set. 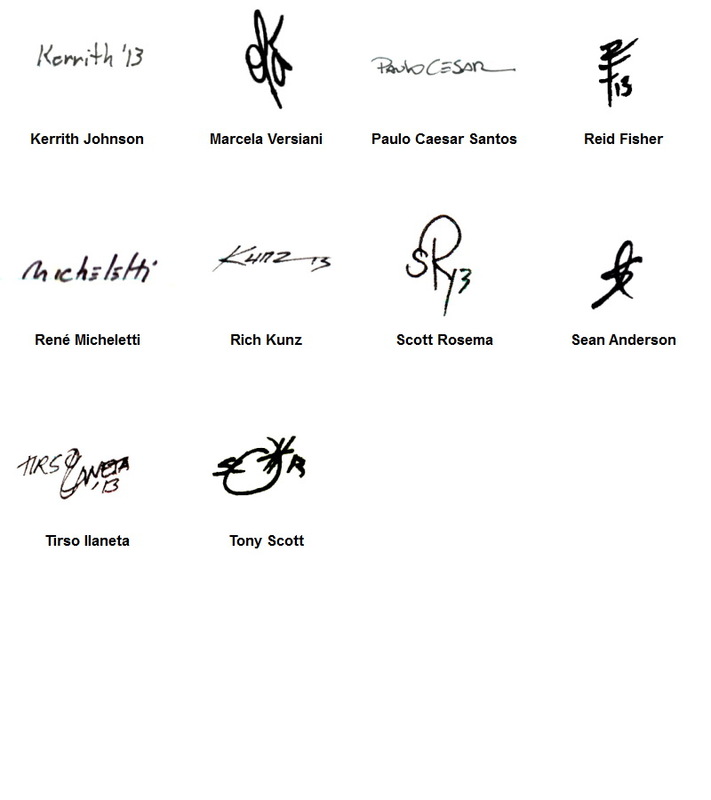 Rittenhouse has compiled a signature cheat sheet (page 1 / page 2) to help you identify artists. * notes Archive Box exclusives.